Carlson Building Materials is your source for cultured and natural stones for outdoor and indoor construction uses. 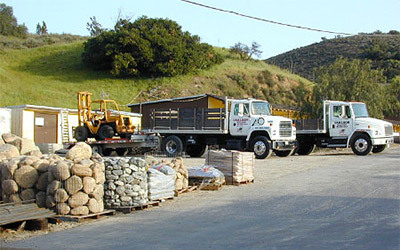 We have one of the largest inventories of unique landscape products and Natural Stone in Southern California and Ventura County. 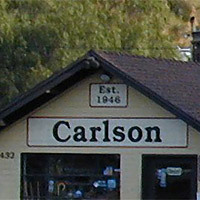 Carlson Building Materials is a family owned business with more than 60 years of experience, pride and traditional values. Our knowledgeable staff work with with homeowners, developers, landscape contractors, general contractors, designers and architects alike to achieve your exact goals, dreams and beyond. 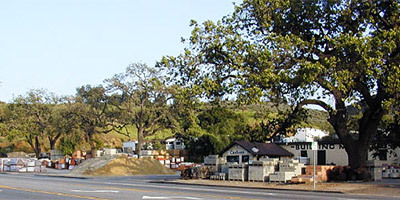 Our huge supply yard features acres of building materials for all phases of landscaping, hardscaping and outdoor improvement. Visit our outdor showroom to see the many ways natural and manmade products are used in patios, fireplaces, outdoor kitchens, ponds and waterfalls. From formal residential landscapes and masonry projects to large, tract home developments, Carlson Building Materials can create a perfect living environment. Stop by for a free consultation.